Yesterday I have watched factory girl, the movie about Edie Sedgewick! He was finally in the videotheque, I have almost waited for 2 years te see this movie! and it was great, I got so much inspiration and I really like it to become totally one with the movie. 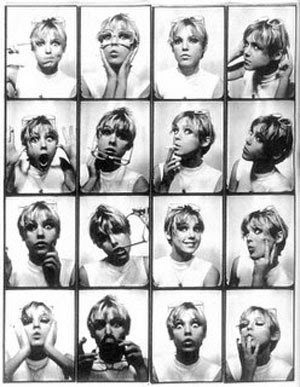 Edie was so beautiful. I love those photos of her with all the different facial expressions.